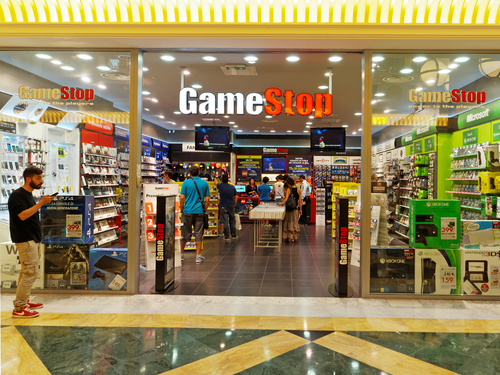 GameStop Corp. (NYSE: GME) shares tumbled about 12% after the omnichannel video game retailer reported 2nd quarter financial results. Total global sales increased 3.4% to $1.69 billion, led by continued demand for Nintendo Switch. New hardware sales increased 14.8%, led by continued demand for Nintendo Switch. New software sales and pre-owned sales declined 3.4% and 7.5%, respectively, impacted by lagging Xbox One sales. Collectibles sales increased 36.1% to $122.5 million, and are driven by a collection of popular licensed merchandises, which includes Pokémon and Marvel products. The company added five Collectibles stores during the quarter, bringing the total global portfolio to 99 stores. The Collectibles business is on track to meet its 2017 revenue target of $650 million to $700 million.